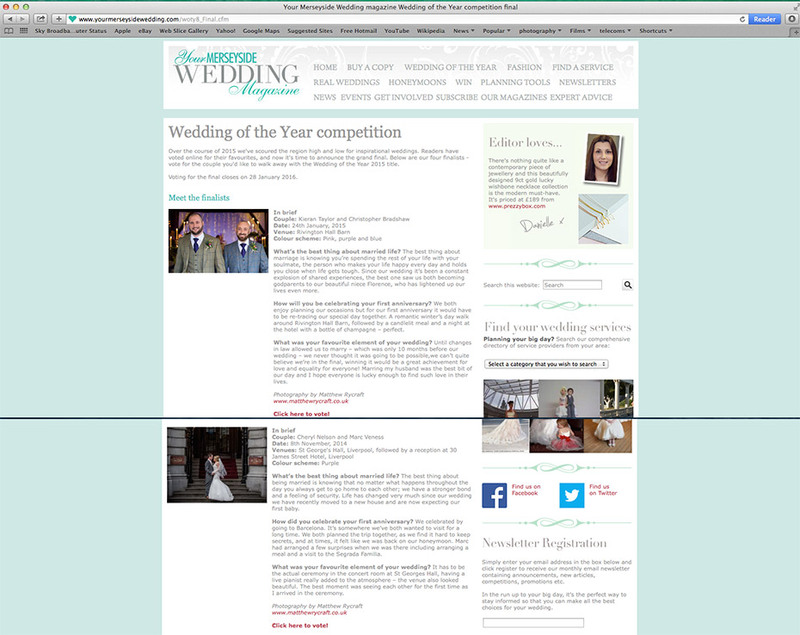 I am honoured to announce that 2 of my lovely wedding couples out of 3, are in the finals for Wedding of the Year 2015. The competition has been running for many years now and is well recognised thing the wedding community. Throughout 2015, only 16 couples out of hundreds entered were chosen to be out through for public voting. Out of the 4 winners only 3 were finally entered into the finals and we have a great chance of being crowned with the title “Wedding of the Year Winners”. A title I have been longing for. 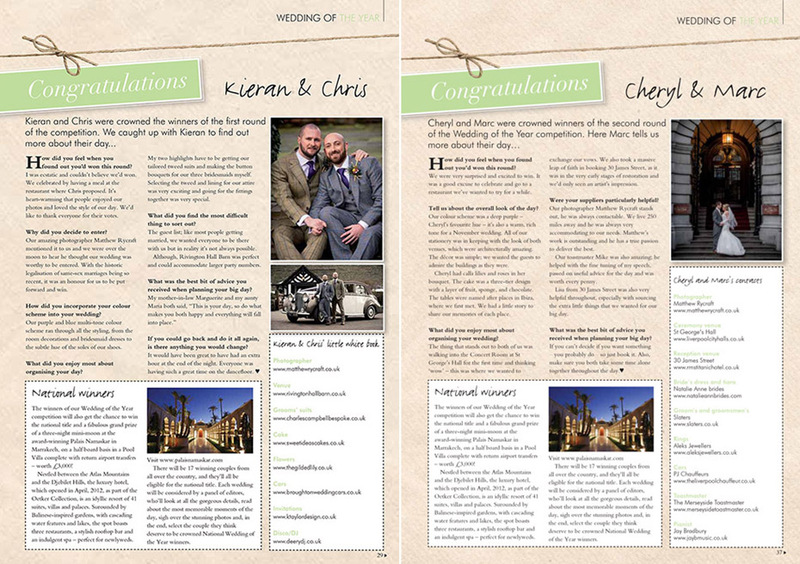 We were lucky enough for both Kieran & Chris and Marc & Cheryl to make it through to the finals with Your Merseyside Wedding Magazine. Needless to say I’m over the moon and I would love your help in voting for them to win. Take a look at their wedding story and please vote by clicking the below link. The lucky couple will win a 2 night stay at the luxurious Hard Days Night Hotel, as well as being featured in a full article in the Magazine. Not only that, the winners will be entered into the National Wedding of the Year and will be up against 17 other winning couples to win a 3 night break in Marrakech.